If I’ve said it once, I’ve said it a thousand times, y’all. When it comes to a killer wardrobe simplicity and classic lines are key. Pair that principle with a black and white pallet, and you’ve got yourself a timeless outfit. 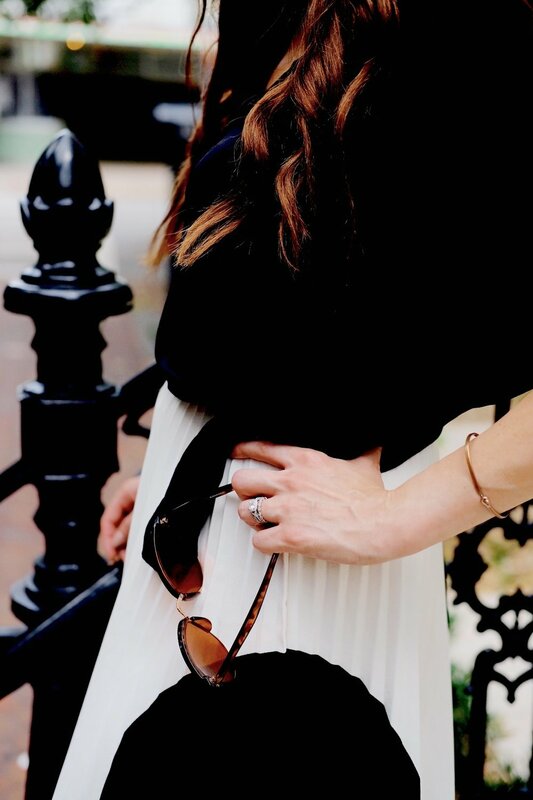 This pleated tea-length skirt by H&M is one of my absolute favorites at the moment, and I’m carrying this summer-ready staple as far into autumn as I can. The fun thing about skirts to me is how they pair so well with different types of tops - pretty, flowing blouses, soft t-shirts, tailored button-ups, cozy sweaters - there are just so many directions to take a skirt like this one! In this case, I obviously opted for a sheer black button-up that mirrors the texture of the skirt itself, which allows for a classy, comfortable look that you can easily elevate with accessories. These black Vince Camuto heels are absolutely the most comfortable pair I’ve ever known - I’m so obsessed! The next time you’re in Savannah, by the way, pay close attention to the iron work! It’s everywhere - from staircases and front porch balconies, to entrance gates, and even window awnings. 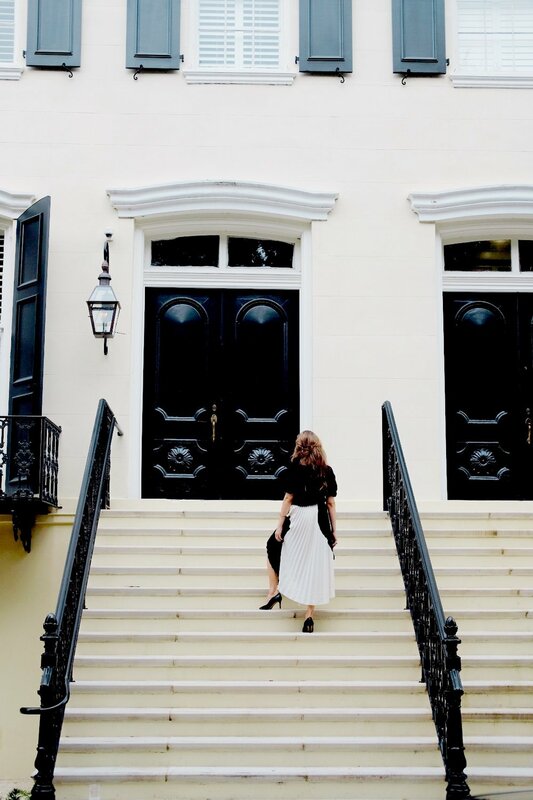 Like Charleston, Savannah has a long appreciation for the art of ironwork. And it’s really reflected and preserved so beautifully across town.